As a speaker, my goal is simple: to make you look like a ROCKSTAR for hiring me and leave your organization wishing they had heard my message sooner! After Jeremy’s session I feel like I can overcome all obstacles. Darlene M.
Whether you book me for your next conference, convention, private corporate event, meeting, or retreat I want your audience to sing your praises for selecting a top-notch speaker who added huge value to your organization and delivered in a big way. I know you’ve got a lot of speakers to choose from to fill your upcoming event and I want you to be certain that when you book me you’re getting a world-class communicator whose passionate delivery and motivational style are sure to give your audience an outstanding experience. Jeremy’s session was interactive and encouraging, I enjoyed it. Jeremy is very passionate about what he does, and his sense of humor was refreshing. Quiane W.
My primary passion is Personal Development. I love helping individuals and organizations achieve breakthrough success in their lives, relationships, and businesses by giving them the psychology and strategy that elevates them to higher levels of performance, creativity, and productivity. Whether your organization needs to inspire extraordinary innovation, level up their leadership impact, overcome tremendous adversity, increase the potency of their teamwork, multiply the effectiveness of their communication, or achieve breakthrough results in the bottom line my team and I will make every effort to ensure the success of your event and deliver enormous ROI. Jeremy’s session on emotional mastery gave me the tools to deal with the every day commotion at work. Lenor D.
Everyone communicates but few connect. The truth is, every leader and professional is tasked daily with transferring important information to their colleagues and coworkers but they often struggle to create powerful connections in the hearts and minds of those they communicate with. This lack of connection makes interactions become ineffective, teams become dysfunctional, and leaders become incapable of inspiring action in their organizations. The good news is, connecting is a skill you can learn and apply in your personal and professional relationships―and you can start now! In this interactive program, Jeremy will show your audience how to focus their power to create amazing connections that will, in turn, change the culture of your company for the better. 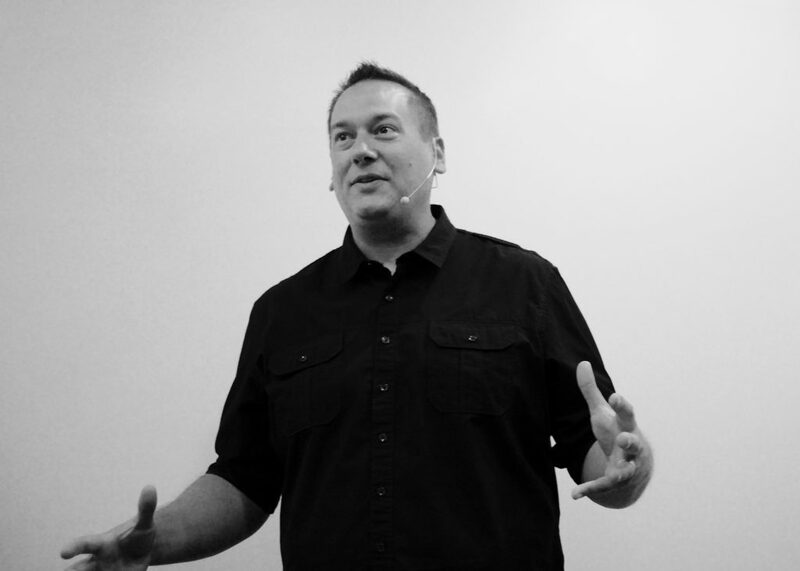 Jeremy will leave your attendees feeling empowered to change the way they communicate and inspired to make powerful connections a priority in their personal and professional lives. Communication That Connects can lead to increased sales, drive greater productivity, and make a positive impact on the culture of any organization. Every organization would like to have a more engaged workplace that produces higher levels of performance and productivity and lives up to the potential they know is available in their people. Very few of them, however, know what it takes to make this vision a reality. What if your leaders knew the secret to unlocking this promise and had a simple and effective strategy for making it happen? In this program, Jeremy will share with you how to develop an organizational culture that’s conducive to greater innovation, less stress, higher performance, and increased engagement. Strategy is never enough, and the real secret to making massive progress that results in breakthrough success lies in taking your leadership up to a whole new level! Jeremy will leave your leaders feeling empowered to make a dramatic shift in their style that will help them gain massive increases in their personal influence. Nothing can change the productivity and profits of an organization faster than a transformation in its leaders and Level Up Your Leadership is designed to help you focus on making the small changes that will gain you the largest returns. Your Best Is Next is Jeremy’s signature keynote and is based on his book by the same name. Focused on empowering your audience to activate their personal capacity to create winning outcomes from what feel like losing situations, this program is sure to help any organization facing transition or struggling to overcome adversity. What do you do when a situation arises that seems to stand in the way of your success? Do you back down or do you find another way around? How do you handle adversity when the demands on your time are increasing, your options are being restricted, and you don’t feel like you have the power or energy to deal with it? What do you do next when you don’t know what to do now? In this program, Jeremy will share with you the process that helped him create his own breakthrough on the heels of a massive breakdown when he was fired from his dream job and left without any idea of what he might do next. While there exist no straight and clear paths that lead to success, there do exist simple strategies and proven principles that will help you turn any adversity you may be facing into your advantage. Jeremy will leave your attendees feeling a renewed sense of confidence and ready to tackle any challenge that comes their way! There’s something very powerful about engaging the depths of the human spirit to succeed against all odds and Your Best Is Next will help your audience tap into the strength that lies within them to change the world around them. Want to book Jeremy for your next event? To inquire about booking Jeremy, use the form below to leave us a detailed message with dates and information about your event and one of our team members will contact you shortly. Is there a theme for your meeting? If so, please tell us what it is.